Join us for two exciting evenings in October as The Anne Frank Center explores Jewish life in post-war Eastern Europe with a film by Yale Strom, entitled "Carpati: 50 Miles, 50 Years," and a concert by the famed klezmer revivalist and his band Hot Pstromi. 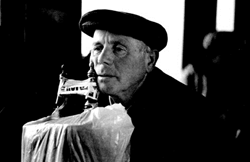 The events are being held in conjunction with our current exhibit "Fragments: Jewish Life in Central and Eastern Europe - 1981-2007 - The Post-War Photography of Yale Strom," currently on view in our New York City gallery until November 28, 2014. Few events in recent history have been as momentous and consequential as the fall of the Berlin Wall. This autumn, which marks the 25th anniversary of this event, The Anne Frank Center USA is proud to host "Fragments: Jewish Life in Central and Eastern Europe 1981-2007" by photographer and musician Yale Strom, a collection of 36 photographs and sheet music that explore the Post-War traditions of Central and Eastern Europe’s remaining Jewish communities. In 1931, the Jewish community of the Carpathian region (then in Czechoslovakia, today Ukraine) numbered a quarter of a million Jews. Today, sixty-five years later, there are fewer than 1,500. This beautiful and moving documentary, narrated by Leonard Nimoy, presents the rich Jewish culture that once thrived in the Carpathian Mountains. Over two decades and dozens of research expeditions, Strom has become one of the world's leading scholar-ethnographer-artists of klezmer music and history. He is also a highly skilled violinist. Join him, Elizabeth Schwartz, Norbert Stachel, and Peter Stan as they perform music from Eastern Europe, combining klezmer with Roma, jazz, classical, Balkan and Sephardic motifs. Both events will be held at The Anne Frank Center USA at 44 Park Place, New York, NY. 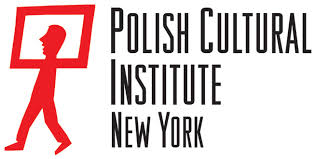 The exhibit and events are made possible by The New York Department of Cultural Affairs, The Puffin Foundation, and The Anne Frank Center USA, and is sponsored by The Hungarian Consulate and the Polish Cultural Institute.